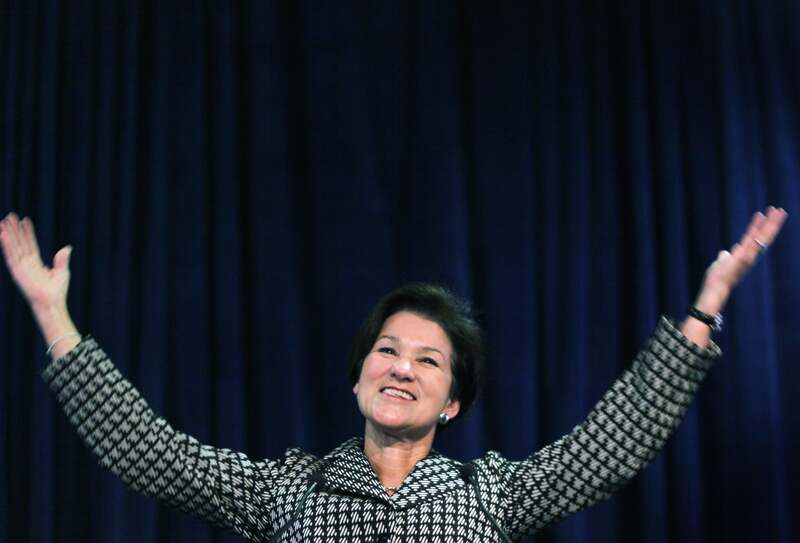 Alex Sink, immigration, and the creation of a gaffe. So what if Alex Sink said something a bunch of other people also do? Yesterday I packed in with a few hundred Clearwater locals and a pack of reporters—from the Tampa Bay Times, from Fox News—for a Chamber of Commerce forum with the candidates in Florida’s 13th District. The forum (not a debate) was largely antiseptic, with no chances for candidates to follow up or rebut one another, unless they slipped a zinger into the next round. So David Jolly, the Republican, failed to coax a statement from Alex Sink, the Democrat, about the PolitiFact debunkings of her TV ads. Sink failed to pull Jolly out onto a limb about positions that appeared to change from debate to debate. At one point, Jolly—who opposed the Senate’s immigration bill—praised Marco Rubio for spending his “political capital” on it. Sink, who supports the bill, explained her support this way. We have a lot of employers over on the beaches that rely upon workers and especially in this high-growth environment, where are you going to get people to work to clean our hotel rooms or do our landscaping? We don’t need to put those employers in a position of hiring undocumented and illegal workers. I was sitting next to a Jolly supporter who muttered loudly when Sink answered anything, so I heard a tongue-cluck when she said that. In the larger room, it generated some “huhs,” but no follow-ups. After the debate, in their media interviews, neither candidate was asked about Sink’s answer. But a tracker posted the video of that answer. Cue outrage. Among the headlines on conservative sites: “Dem Candidate in FL-13: Immigration Reform ‘Important’ Because We Need Hotel Maids, Landscapers” (National Review), “Florida Democrat: we need immigration reform to get hotel maids and lawn guys” (Breitbart), “Liberal Alex Sink: Without Immigrants, Who’ll Clean Up for Us?” (Newsmax). None of those headlines quoted Sink’s comment. They paraphrased it. That’s usually a sign of an article that can’t live up to the click—but what was it supposed to live up to? Ah—it was supposed to be proof that 1) Sink was a racist and 2) any Republican who said this would be chased from politics. I’m not sure whether there’s a term for this—maybe it’s Reductum ad Republicum. In lieu of an argument for why Sink was racist to point out that undocumented immigrants are currently employed as landscapers or hotel workers, they argue that a Republican couldn’t say it. But Marco Rubio says it. The cliché about workers “coming out of the shadows” implies it. Really, it’s like a conspiracy broke out to pretend that mentioning immigrant work was racist. For every example that you hear, I think about the high school valedictorian – I believe he lives in this district now. He was brought here when he was a young man, nine or ten years old. He didn’t choose to come here. His parents brought him. He was undocumented. And what does he do? How does he get an education? He did everything right. He became an incredible student. He even eventually ended up going to law school and becoming a lawyer. But right now he can’t practice law because of his undocumented status. That’s not right. Funny. The tracker didn’t include those lines. The conservatives who hectored the media for not covering Sink the way they’d cover a Republican didn’t seek out the lines. Yesterday, when arguing on Twitter (of course) about this, I got this explanation of the controversy from America Rising’s Tim Miller. That wasn’t even what Sink said in the tracker’s clip, and it absolutely wasn’t what she said in the full answer. Marc Caputo has more on this, with the upshot that trackers/oppo merchants who want the media to cover what they’ve got should respect our intelligence a little more.